Gild your gift with timeless elegance. Appreciation at its finest. Making each moment a refreshingly elegant experience. 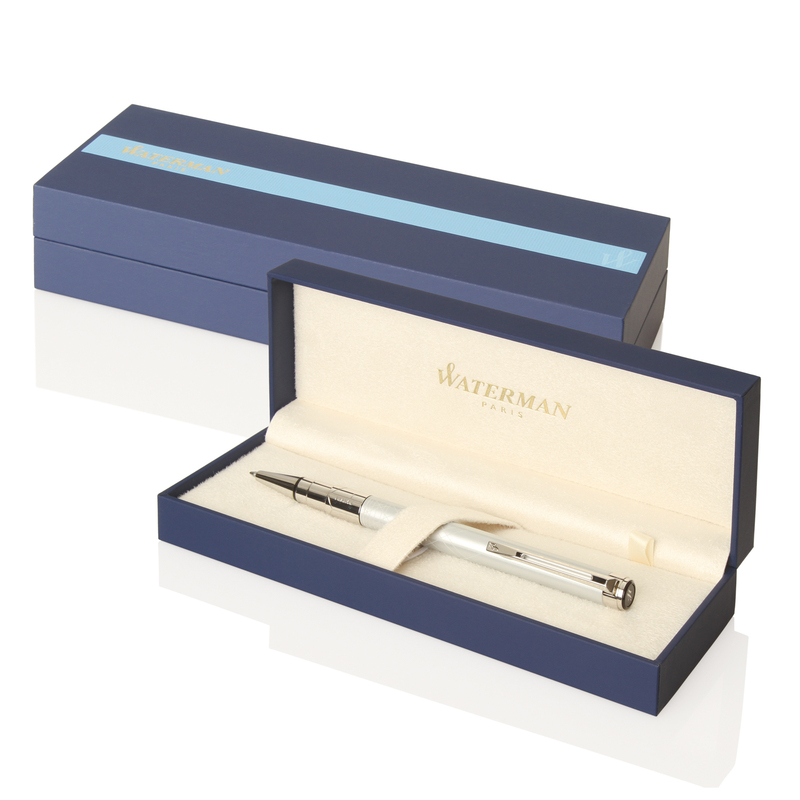 Waterman innovation brings you a pen with a focus on simplicity and style, bringing you a writing tool that inspires your most creative thoughts and ideas. Available with a silver laser engraving or a high quality print these pens make for a gift fit for a king. Equipped with the ultimate smoothness blue rollerball these pens are a treat to write with.